Researchers at Seoul National University Hospital (SNUH) have discovered that metastatic ovarian cancer has a different genetic mutation from the primary ovarian cancer. 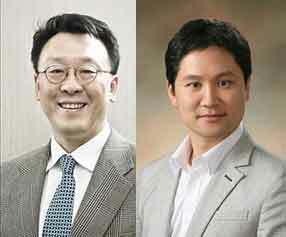 The research team, led by Professor Song Yong-sang of the department of obstetrics and gynecology at SNUH and Professor Kwon Sung-hoon of the department of electrical and information engineering at Seoul National University (SNU), analyzed the genomes for the genetic evolution of ovarian cancer cells and produced a tree-like pattern of its evolutionary models. Using a next-generation diagnostic technology called laser-based cell sorting, the researchers isolated 10 cancer tissues from the primary site of an ovarian cancer stage-3 patient. Afterward, the team compared the genomic sequence of each ovarian cancer cell with normal tissue using whole genome sequencing and exon sequence analysis. The team later found a total of 171 single-nucleotide sequence variations. Among them, single nucleotide sequence variation common in both the primary and metastatic sites was 38.6 percent, while mutations for primary and metastatic sites were 35.7 and 25.7 percent, respectively. The researchers explained that the common mutation between the primary site and the metastatic site was low, which, in turn, means that the metastasis cancer site has a gene mutation independent from that of the primary sites. The results of the research were published in the latest edition of Scientific Reports.